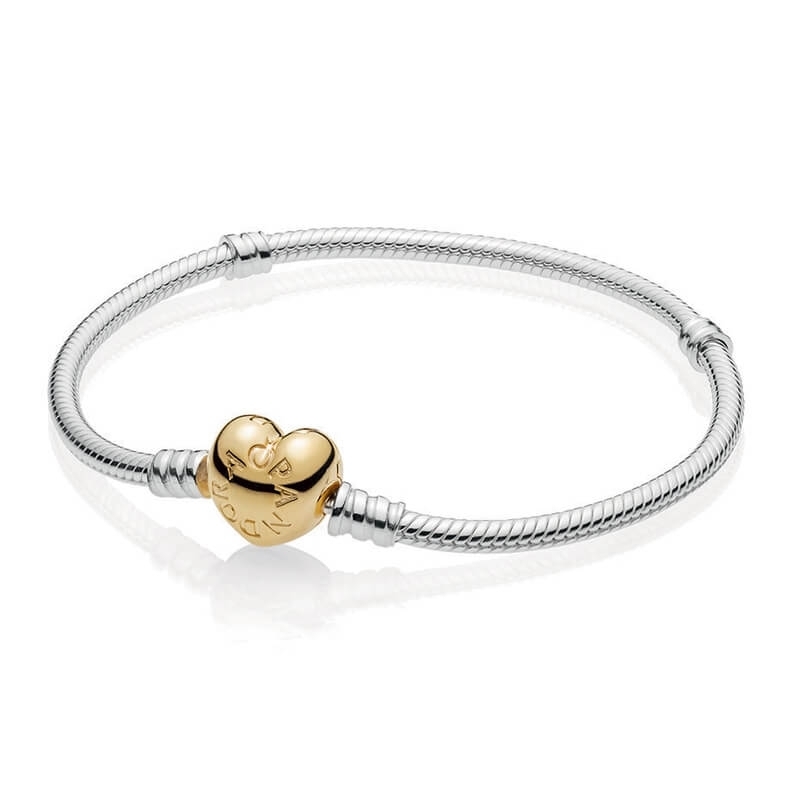 PANDORA Moments Silver Bracelet - Shine Heart Clasp. Two-tone bracelet comprising of sterling silver and PANDORA Shine™. Elegantly finished with PANDORA'S classic heart clasp.